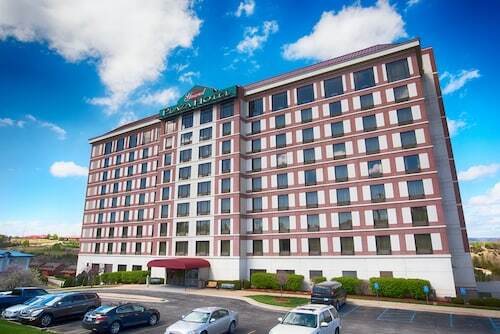 Located in Branson Theater District, this hotel is within a 10-minute walk of Highway 76 Strip and Tanger Outlets. Titanic Museum and White Water are also within 2 mi (3 km). 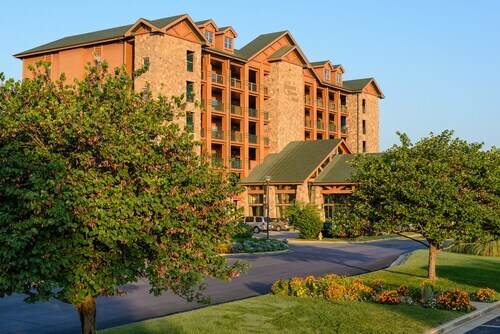 Welk Resorts Branson nestles among the trees in the scenic Ozark Mountains, close to Table Rock State Park. The Silver Dollar City theme park and the attractions of Branson can all be reached in under 20 minutes, and it’s less than 20 miles (33 km) to Branson airport. 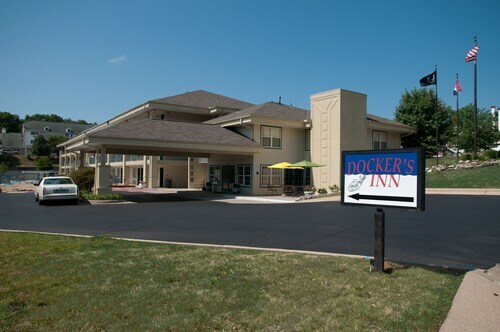 This family-friendly Branson hotel is located near the airport, within 1 mi (2 km) of Highway 76 Strip, Titanic Museum, and Tanger Outlets. Table Rock Lake and White Water are also within 3 mi (5 km). 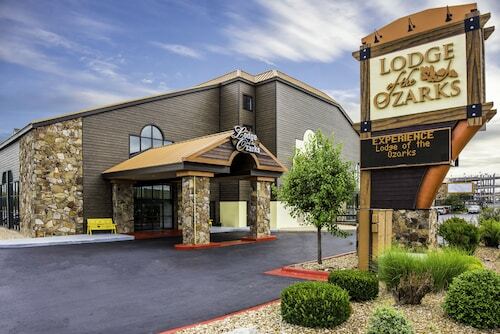 Located in Branson Theater District, this hotel is within a 15-minute walk of Highway 76 Strip, Tanger Outlets, and Dolly Parton's Stampede Dinner Attraction. Titanic Museum and Branson Landing are also within 3 mi (5 km). 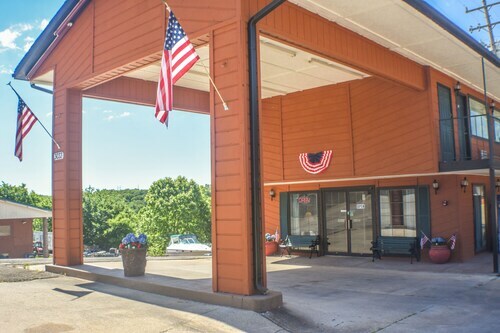 Situated in the mountains, this motel is 0.5 mi (0.7 km) from Branson Craft Mall and 1.4 mi (2.3 km) from Jim Stafford Theatre. 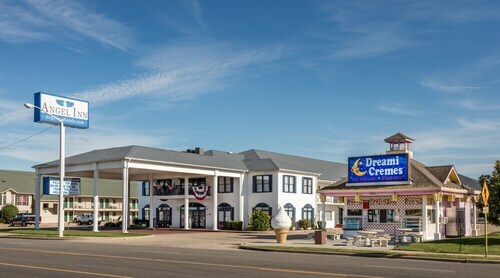 Situated on the Strip, this motel is within 1 mi (2 km) of Highway 76 Strip, Titanic Museum, and Tanger Outlets. White Water and Dolly Parton's Stampede Dinner Attraction are also within 2 mi (3 km). 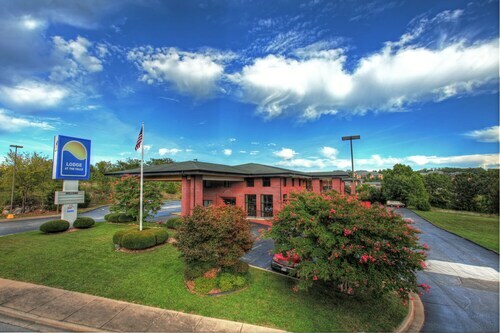 Located in Branson Theater District, this motel is steps from Pierce Arrow Theater and Hamner Barber Theater. Shoji Tabuchi Theater and Branson's Promised Land Zoo are also within 10 minutes. 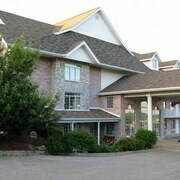 Located in Branson Theater District, this hotel is within 1 mi (2 km) of Shoji Tabuchi Theater and White Water. Titanic Museum and Tanger Outlets are also within 3 mi (5 km). 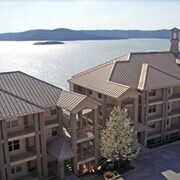 Situated on a lake, this condo building is within a 10-minute walk of Table Rock Lake and Table Rock Lake. Silver Dollar City and White Water are also within 9 mi (15 km). 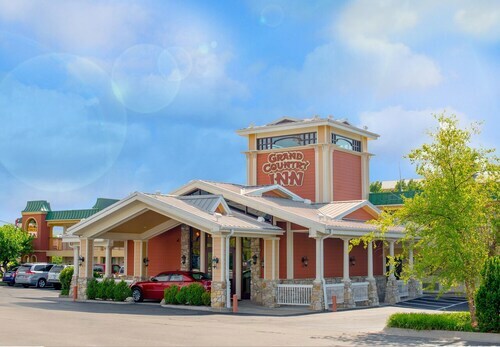 Located in Branson Theater District, this hotel is within a 5-minute walk of Highway 76 Strip and Dolly Parton's Stampede Dinner Attraction. Branson Landing and Titanic Museum are also within 3 mi (5 km). 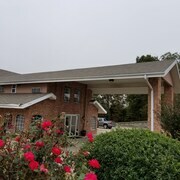 Situated in the entertainment district, this motel is 0.4 mi (0.6 km) from Runaway Mountain Coaster at Branson Mountain Adventure Park and within 3 mi (5 km) of Titanic Museum and Table Rock Lake. White Water and Tanger Outlets are also within 3 mi (5 km). 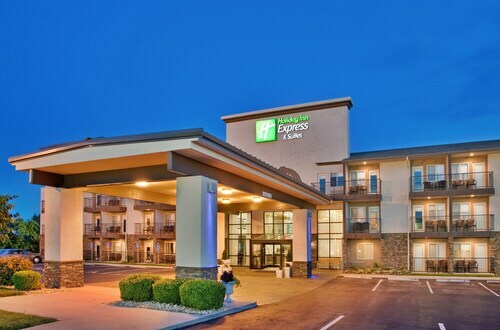 How Much is a Hotel Room in Branson? 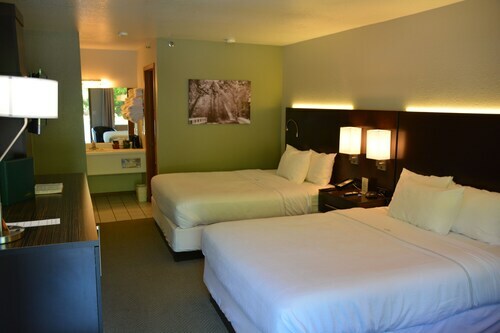 Hotels in Branson start at $35 per night. Prices and availability subject to change. Additional terms may apply. Proud of its nickname of the Live Entertainment Capital of the World, Branson is a great option if you want the shows, bright lights, and loads of family attractions. This southern Missouri city certainly loves its neon and Ozarks heritage, almost as much as a live show. 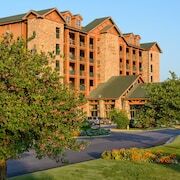 When staying at Branson hotels, you will discover that there is golf, spas, shopping, and live performances to entertain you. If you love water sports or fishing, visit the city's three lakes or pick one of the hotels in Table Rock to stay near the water. Branson's blend of family attractions, entertainment, and outdoor activities allow you to stay busy from morning to night. Ride the rides, enjoy shows, and watch arts and crafts demonstrations at Silver Dollar City theme park. 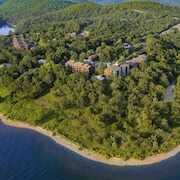 Later, see the sights with a ride on a lake cruise, land-to-water vehicles, or the historic Branson Scenic Railway. You will hardly want to stay in your resort when there are impressive shopping centers to visit and unique museums devoted to everything from the Titanic to toys. Be entertained at Dolly Parton's Dixie Stampede, Grand Country Music Hall, King's Castle Theatre, or any of the area's 100+ shows. 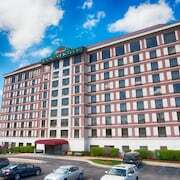 Before you go, search Branson hotel deals for cheap Branson hotels; that way you can enjoy even more entertainment and dining. In fact, the two are often served up together at Branson's many dinner shows! The entertainment aspect continues into many parts of the drinking and dining scene, with live music found in many places. Enjoy the BBQ of the Ozarks or opt for an upscale dinner where you can enjoy the scenery, especially as the colors change in the fall. 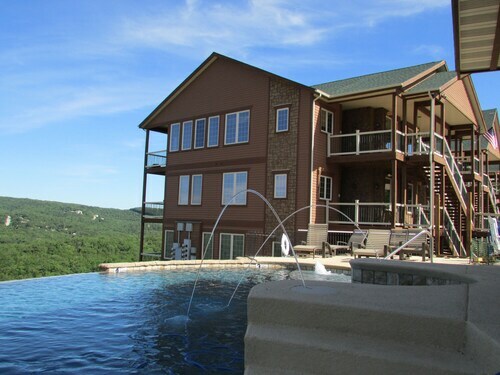 Start exploring luxury hotels in Branson, and book your Branson vacation now. Save up to $537 when you book a hotel and flight at the same time on Travelocity. The front desk was helpful, efficient, and courteous. The breakfast was great. 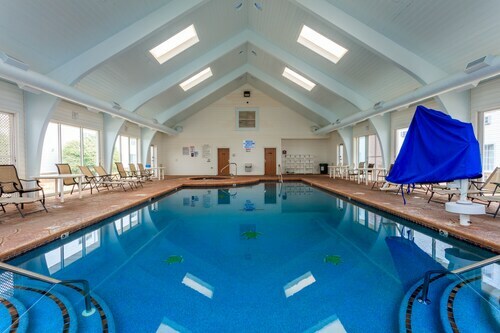 The pool was very nice. The entire staff is to be commended. They were helpful in any concerns that we had. Location was great. I would highly recommend this hotel to others and would stay again. Loved the Amish built bunk beds and rooms. Lots to do! Liked it all; room service was excellent. 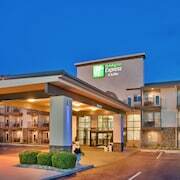 Front desk staff (Jacob) was Very helpful, I would definetly stay there again. Didn’t like parking on a hill as I am physically challenged; as well as my guest but that’s the beauty of Branson! I liked that their is security at the gate. 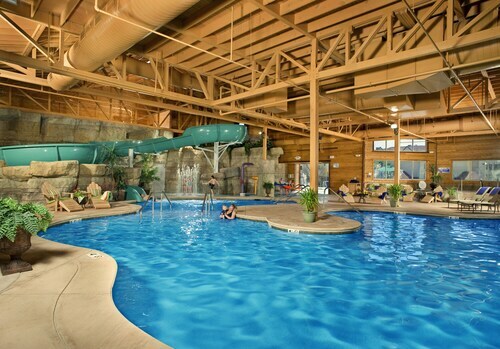 Description said that it had hot tubs but they have been taken out.